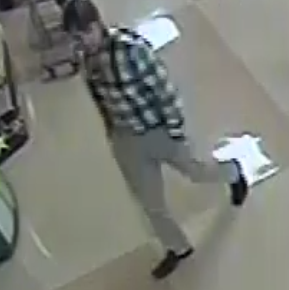 Franklin Detectives want to identify this suspect, wanted for taking pictures up a woman’s dress while she shopped. It happened at about noon, at a Cool Springs grocery store on Wednesday. The victim said that the suspect, pictured in this video, got uncomfortably close to her, got down on one knee, put his cell phone under her dress, and blatantly snapped the photo. Now, he is wanted for Unlawful Photography. If you know who this suspect is, call Franklin Police. Information on his identity is worth up to $1,000 with an anonymous call to Crime Stoppers: (615) 794-4000.